In today’s internet marketing arena, the value of SEO for small businesses could never be more important. To neglect the power of SEO is to literally cut a lifeline from your business. SEO allows for people you normally wouldn’t be available to, to contact you via the web’s many platforms such as your website, blogs, social media. Why waste such a valuable resource when studies show that SEO for small business is beneficial in every way. Your competition isn’t going to sit around on their hands. They see the writing on the wall regarding the advantages of SEO. They have to take advantage of every thing that can bring a lead. Even if it’s the smallest SEO adjustment, it could lead to bigger gains. It’s not a monumental effort to apply SEO to your small business. You can get off on the right foot on your own and then hire an SEO specialist who knows what to do with a small business website. Once you get underway in a short time you’ll begin to see results and in the long run you’ll see dramatic results. Time marches on, and sitting around hoping that people will find you via the web is not only a misconception, it’s almost delusional. You need those inbound links from relevant websites of authority. It not only moves you up the Google rankings, but also establishes that others find your small business of some or vital importance. Adding local SEO to your campaign is even better. This way, your info regarding your location can be easily found by surfers. The statistics regarding small businesses and SEO are in. There’s no doubt that there is value. The key issue here is why some small businesses still are lagging from applying SEO. Usually it’s due to rumor or just plain ignorance. In today’s online promotion, you have to take charge regarding the latest techniques and technologies because luck just isn’t going to cut it anymore. Sure, you can get a link to your site from a huge traffic site, but you’ll need more than that for Google to index you and boost you up. It takes strategy and following the tried and true methods that experts have come to rely on. This is why there are professionals in small business SEO can have a hard time. They have to educate the business owner to why they need SEO as well as the procedures and expected outcomes. There’s no magic bullet, super secret key, just hands on applicable techniques that are ethical but are guaranteed to get some results. Once you’ve come to figure this out, the better off you’ll be. So if you have a small business and you’re either not getting the leads you want, or you’re not getting the exposure you want, it’s due to your site not having small business SEO applied. It’s not too late to start though. 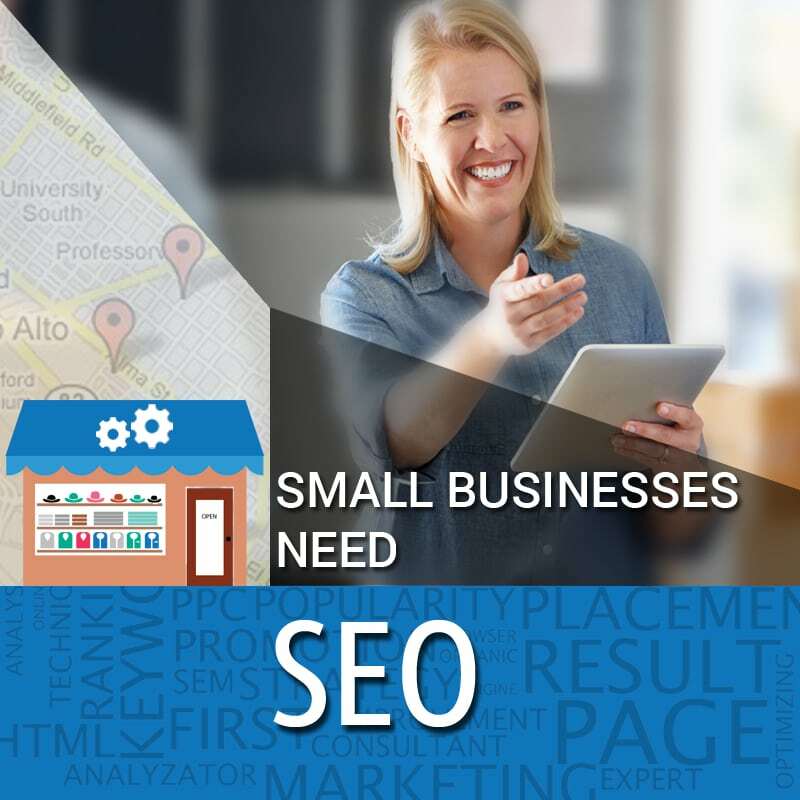 It’s time to reassess your business strategy and embrace small business SEO or you’ll find yourself so far in back of the pack that you’ll need to make a monumental effort to catch up.